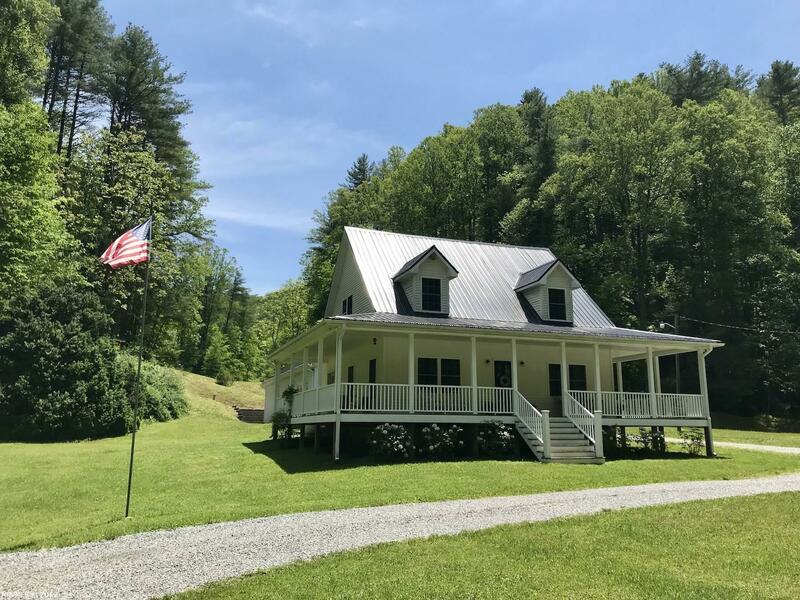 Quiet and peaceful is what you will find with this country home and nearly 100 acres located in beautiful northeast Floyd County VA. Practically a new home this property offers over 2,000 sq ft, 3 bds with master on main, french doors leading from master to east side patio, 2.5 baths, beautiful kitchen with gas range, family room with gas fireplace, 9 FT ceilings, laundry on main, 3/4 wrap around porch with lighting, HVAC, outdoor wood stove and radiant floor heat in garage. 40x56 double bay attached garage (2,200 sq ft) (800 sq ft of storage loft space.) Abundance of nature and plenty of area for the family to explore outdoors. Bold waters of Goose Creek flow west to east with other springs and streams also on the property. Stocked fish pond nearby will be an excellent area for cookout activities. Trails for hiking, horseback riding and ATV's while also a large area for hunting opportunities. A beautiful home and this amount of acreage is hard to find! Schedule your appointment!